Mmm. 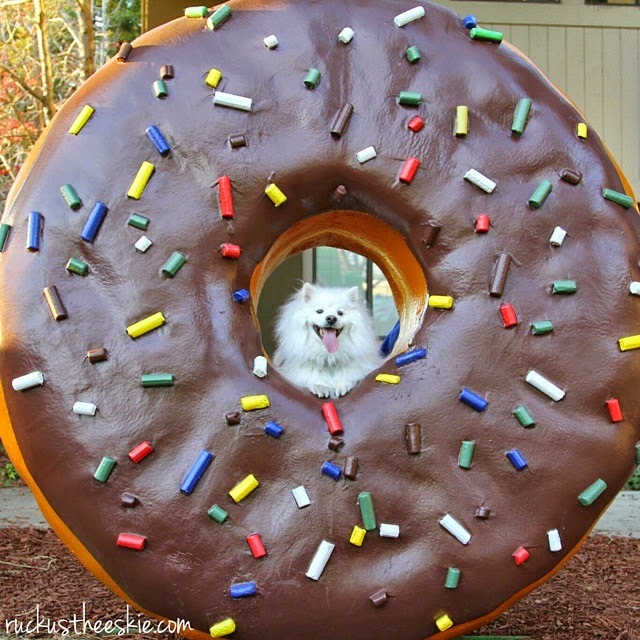 There's some white filling in this doughnut. 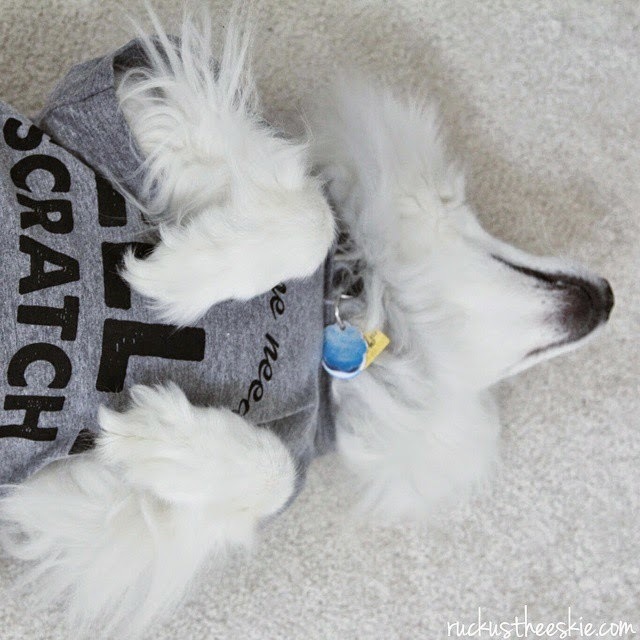 Ruckus the Eskie is an affiliate of the BarkBox network. Use promo code “RUCKUS” to save 10% on either BarkBox or BarkShop items, or “ESKIE” for a free BarkBox as part of your subscription. Reward system here is the Key. Here are some tips on how to teach your dog to hold things. This is a fun trick that you can use either on the nose or in the mouth. You can decide on which object to have your dog hold but I would say if it's something that is consumable, most likely it wouldnot be the best item to start with. Start with something of a neutral property that is of decent weight given your dog size. You do not want a heavy item to start with. A good tip is to open the lower jaw of your dog's mouth gently initially and putting in behind their teeth. As you tell with Ruckus he's pretty good with this trick and I can easily just stuff anything in his mouth. He is typically patient in waiting for the command to enjoy his carrots! 4. CONSISTENCY with the training and iwth the wording. Don't keep changing the word of choice. Practice in the same location. Dogs are a creature of habits like us humans so having a routine will be the key. This trick may take up to months for some dogs but with Ruckus we were lucky to have him learn in a few weeks. This is the key for the success of learning any tricks. Your dog will thrive on praises and rewards. Provide positive reinforcement with verbal encouragements and praises topped with a delicious doggy treat. 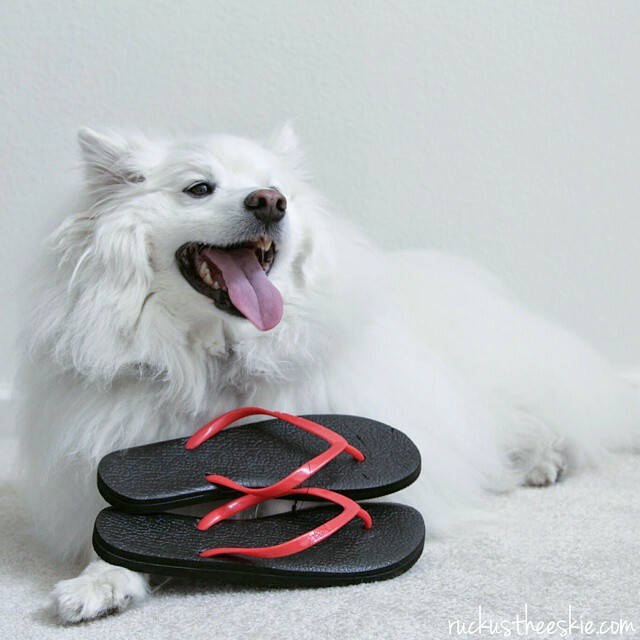 Once your dog are able to hold neutral objects, you can advance to dog food. Ruckus can hold most dog food in his mouth without salivating too much and the joy is that he can enjoy it quickly afterwards. This is called instant gratification. Delayed gratification won't be as effective as most dogs have a very short attention and memory span.